Chelsea - Eight people were injured after two cars collided early Wednesday, officials said. 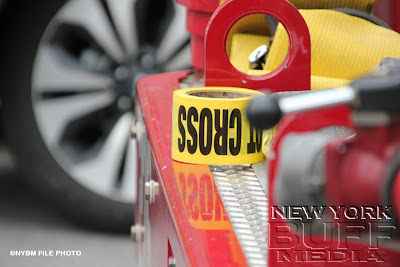 Two of the victims were seriously hurt when the vehicles crashed about 3:45 a.m. in front of 574 Sixth Avenue, near West 16th Street, the FDNY said. One of the victims had to be extricated from a vehicle, a spokesman said. Six other people in the vehicles were hurt, though their injuries were not considered life-threatening, fire officials said. All of the victims were taken to Bellevue Hospital, the spokesman said. The details of the accident were not immediately known.